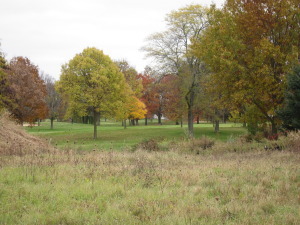 Listed below are homes for sale in Whitetail Ridge, a neighborhood located in North Madison, WI. Listings are updated multiple times a day from the SCWMLS. For more information about any of these Whitetail Ridge homes for sale, just click the "Request More Information" button when viewing the details of a property. We can provide you with disclosures, past sales history, dates and prices of homes recently sold nearby in Madison, and more. And, for your convenience, register for a free account to automatically receive email alerts whenever new Whitetail Ridge listings come on the market that match your search criteria. City limits to the north; Packers Avenue to the east; Pond Street and Mayfield Lanes to the south; and North Sherman Avenue to the west. 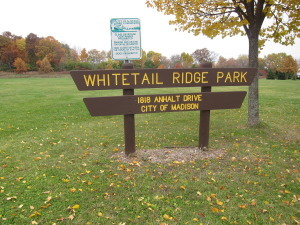 Whitetail Ridge is one of Madison’s newest north side neighborhoods. Its close proximity to schools and parks have made it a fast favorite among young families. Whitetail Ridge Park, located between Anhalt Drive and the northern neighborhood border, is a hub of community activity with basketball courts, soccer fields, open spaces and a playground area for younger children. Pedestrian paths extend through Whitetail Ridge and make walking to parks, eateries and stores a breeze. That’s no mistake, either. 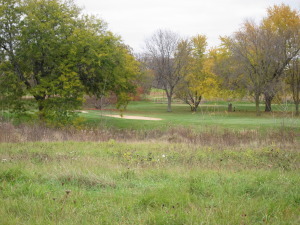 City officials launched a massive rejuvenation effort that brought sweeping improvements to Sherman Avenue, which runs along Whitetail Ridge’s western boundary, and Northport Drive, located a few blocks west of the neighborhood, and Packers Avenue, which runs along Whitetail Ridge’s eastern boundary. What does that mean for residents? Better connectivity through a series of pedestrian paths, wider sidewalks, new bike lanes and aesthetic features like landscaping, artwork and attractive bus stops. Whitetail Ridge has been at the epicenter of efforts to rejuvenate the north side, and that will continue well into the future. The city plans to encourage redevelopment of commercial areas and underused properties on the north side to ensure a bright future is in store. Developed in the early 1990s, Whitetail Ridge is among the north side’s most modern neighborhoods. Many of the homes in the neighborhood feature two-car garages and modern architectural inspiration. A rural appeal permeates throughout Whitetail Ridge with farmland and forested areas crowding the southern, eastern and northern borders. The neighborhood’s suburban-inspired design adds to its rural charm as well. Homes are arranged on no-through streets, which cut down on neighborhood traffic and make walking and biking safe. That’s good news because Gompers Elementary School and Blackhawk Middle School are both a short walk east of the neighborhood. That’s made it a popular place for young families with young children regularly living in more than half of the households. A small pocket of multi-family dwellings is tucked behind a grove of trees along the eastern border, otherwise Whitetail Ridge is comprised exclusively of single-family homes. The Dane County Regional Airport is just east of Whitetail Ridge across a rolling field and grove of trees, and Madison College is about three miles south of the neighborhood. Downtown Madison is less than six miles south of Whitetail Ridge, and Sun Prairie is less than 10 miles north. Waunakee will be eight miles northwest of Whitetail Ridge, and Middleton is less than 12 miles west of the neighborhood. For information about finding a home in the Whitetail Ridge neighborhood or to sell your Whitetail Ridge home, contact our team for a better real estate experience. The Whitetail Ridge neighborhood is located on the North Side of Madison in MLS area Madison – E03. Below are more homes for sale in that area.